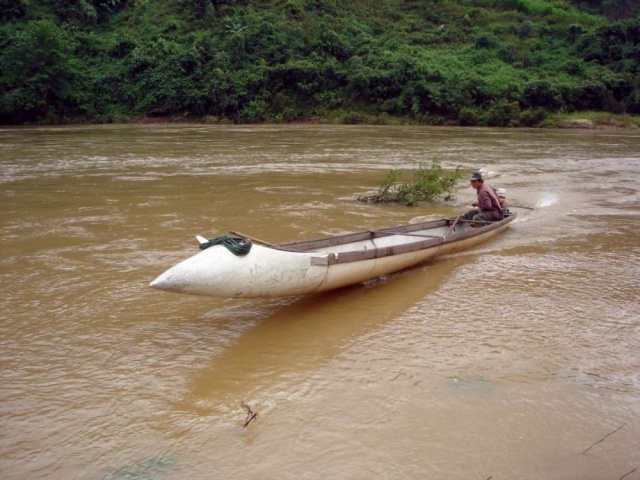 Vietnamese Speedboats Made From Salvaged USAF Fighter Jet Fuel Tanks Are The Bomb! 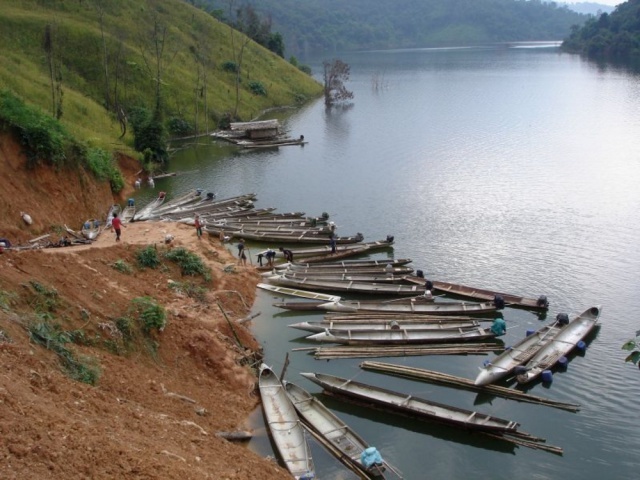 From swords into plowshares; from external fuel tanks into speedboats. 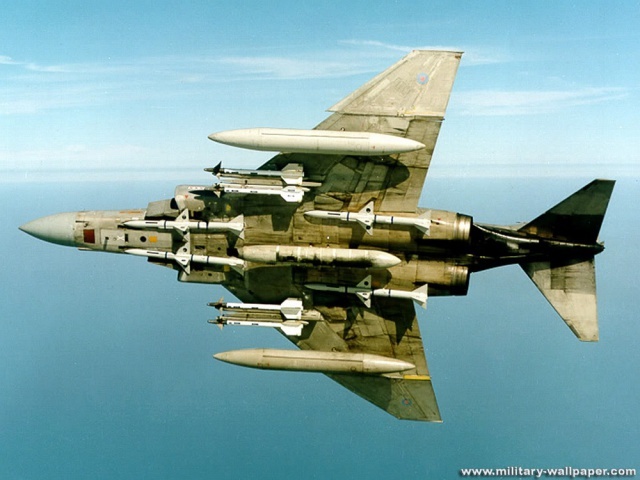 USAF fighter jets jettisoned thousands of external fuel tanks over Southeast Asia during the Vietnam War, and a significant number have been re-purposed into some of the sleekest speedboats ever to bomb down a river! Though the Air Force made extensive use of mid-air refueling from airborne tankers like the KC-135, dual drop tanks added even more range for fighters and fighter-bombers flying from Navy carriers or Thai airbases. In many cases, the tanks were jettisoned at or near the target area when the presence of enemy jets and/or ground-launched SAMs demanded the utmost in speed and maneuverability. For farmers and fishermen living in isolated areas, the dropped drop-tanks literally were gifts from above – sort of like the Coke bottle in The Gods Must Be Crazy, only bigger. Fashioning the non-rusting aluminum tanks into boats proved to be easier than one might imagine; no arc-welding setups required. Serendipitously for the boat-builders, the tanks were designed for ease of packing at one end and the simplest possible assembly at the other. 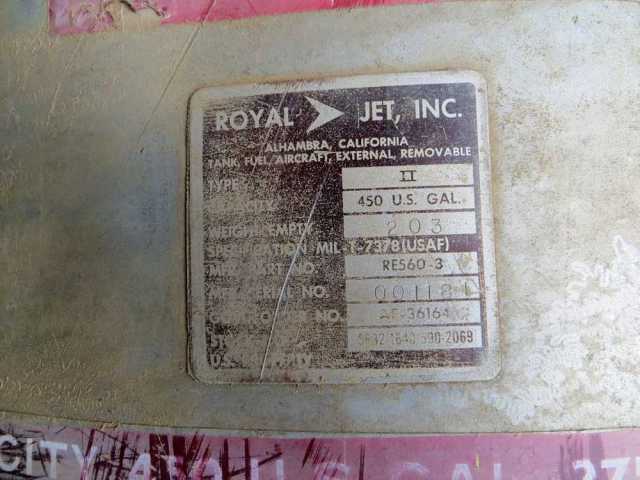 Here's how that worked: Royal Jet Inc of Alhambra, California (that's one of their identification labels above, still affixed and quite legible) produced the tanks in clamshell halves that nested together for economical shipping. Once delivered to an air base, the halves snapped together and were cinched by a belt – no welds, no bolts, no bother! The process took four minimally trained crewmen mere minutes to complete. Royal's innovation and ingenuity garnered the company a patent on the process in 1954. After being jettisoned during combat missions, those on the ground found the tanks came apart just as easily as they were put together. A minimum of grunt work and other modification was all that was needed to launch the tanks into a wholly unexpected method of use. Who Says Social Media Execs Don't Make Money - When Six Are The Richest On The Planet!